There are currently, 177 guest(s) and 0 member(s) that are online. Mexico's Cast are celebrating their 40th Anniversary this year and celebrating in two ways. One, on October 20, 2018, Cast will perform live at CEART Mexicali - the concert is free. Visit their website for details. Secondly, the band will this month release a live Blu-Ray, Sinfonico Live - Cast playing live accompanied by an orchestra. The band are taking pre-orders now. Listening to the trailer (see below), I can say it sounds marvelous! Artist News: Frontiers Music Srl Announces Signing Of Alan Parsons! Another news item from Frontiers to note is their signing of the legendary producer/musician Alan Parsons. Prog fans associate Parsons mostly with his work as engineer on Abbey Road (The Beatles) and Dark Side Of The Moon (Pink Floyd), aside from his own recordings under his name and the Alan Parsons Project banner. His list of credits is far longer and far broader. Italy's Frontiers label releases a wide variety of rock titles from AOR to Progressive Rock to Metal. In the next coming months, that is no different; we list them below. What caught our attention especially was the recent by Robert Berry, under the 3.2 moniker. A ways back, 1988 to be exact, Robert Berry, along with the late Keith Emerson and Carl Palmer, released The Power Of Three as 3. The album yielded the single "Talkin' 'Bout," which reach #9 on Billboard Magazine's charts. Sad news to report, as we learned the other day that guitarist and Progress Records owner Hansi Cross has passed away having been battling cancer. While I didn't know Hansi personally, I had reviewed a few of his releases, under the bandname Cross, as well as a selection of titles by others that he released via his record label. There was even an occassion where Hansi asked if I would be interested in providing artwork for an upcoming album. While that that never came to fruition, I was honored that he thought I might have (even a smidgen) of talent for it. Ahead of the release of their new album, We Are Legend (which came out Friday, Apr 27), Magenta released a free EP through their Bandcamp page. Entitled Trojan, the EP features an edited version of "Trojan" (the album version is 26-minutes long) as well as "two remixes in the style of keyboardist and founding member Rob Reed’s Chimpan A project." 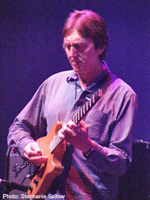 Sad news to learn that legendary guitarist Allan Holdsworth has passed away this past weekend at the age of 70. The folks at Prog magazine published a tribute, written by Malcolm Dome; you can read it here. The family launched a GoFundMe campaign to help cover funeral expenses at: www.gofundme.com/allanholdsworthmemorial. Holdsworth was part NEARFest 2007's Progressive Arts Showcase, where I saw him perform with Chad Wackerman (drums) and Jimmy Johnson (bass) - my recollection was a good but static performance. I do not have any anecdotes to add. Nevertheless, it is always sad when someone passes at any age; and in a year plus, it seems far too many music figures are passing. 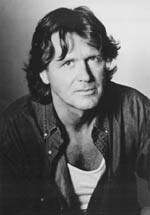 While we were on another unintended sabbatical, we learned the sad news of John Wetton's passing this past January. In a year (or so) that saw the losses of Keith Emerson and Greg Lake, to lose another figure in the pantheon of prog is hard to take. I had seen Wetton perform live once, when UK played NEARFest Apocalypse in June 2012. While I might be forgetting something earlier, I'd venture to say that I first knew of John Wetton through Asia, and their monumental debut album, as "Heat Of The Moment" was inescapable in the early 80s (and I didn't want to). Of course, after starting this site some 20 years ago this month, there came to my attention (reviewed or not), solo material, dipping back to King Crimson, more Asia, etc. Anyway, I was sad to learn of his passing. Roger Staffelbach (Artension, Artlantica) - Guitar; Leonardo Porcheddu (Vitalij Kuprij) - Guitar; Ivan Mihaljevic (Side Effects) - Guitar; Steve Di Giorgio (Testament, Death) - Bass; Dino Fiorenza (Metatrone) - Bass; John Macaluso (Ark, Symphony X, Malmsteen) - Drums, and Mistheria (Bruce Dickinson, Rob Rock, Vivaldi Metal Project) - Keyboards. Special guests - Chris Caffery (Trans-Siberian Orchestra, Savatage) - Guitar and Roy Z (Halford, Bruce Dickinson, Tribe Of Gypsies) - Guitar. Since September Stewart Bell, of Citizen Cain, has been taking pre-orders for the second chapter of his trilogy The Antechamber Of Being. TAOB Part 2 will be released in February - exact date still to be determined. You can watch a promotional video below. Guests helping Bell are Simone Rossetti from The Watch, Ayreon's Arjen Lucassen, Bekah Comrie from Grace & Legend and Citizen Cain's Phil Allen. The album will come out in various formats: Limited Special Edition Hardback Art-Book – 38 page full colour book containing art, concepts, lyrics, song intros plus your name included in a 'special thanks to' section in the book plus a CD of the album (2CD, £20). 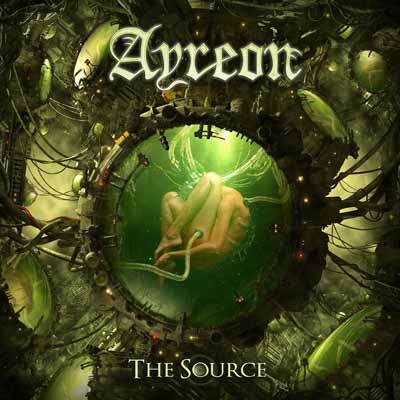 As we shared in November, Arjen Lucassen will release a new Ayreon album this year. On Thursday, he released the title - The Source - and album artwork (see small at left; larger below). Over a period time, the guest artists were revealed where Lucassen did so as a guessing game. September 2, 2018: Update: Hello ProgressiveWorld.net readers. If you noticed our pages were blank earlier today (and earlier than today)... We are (mostly) back! (Host changed servers and left some of our content behind). The key sections - reviews, news are restored; releases and festivals will be too soon hopefully. · New Single & Video from Horisont - "About Time"
· Tim Bowness Launches Video For "Distant Summers"
© 2000-2006 by PHPNuke.org. All Rights Reserved. Website engine code is © copyright by PHP-Nuke.